Nyxoah S.A., a medical device company focused on the development and commercialization of a best-in-class hypoglossal nerve stimulation (HGNS) therapy for the treatment of Obstructive Sleep Apnea (OSA), announced that it successfully raised an additional €15 million in their most recent round of equity financing. 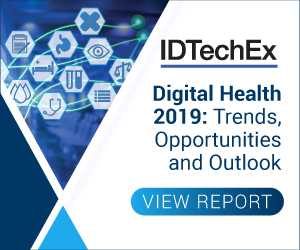 For more information see the IDTechEx Reports on Bioelectronic Medicine 2019-2029 and Neuroprosthetics 2018-2028. The financing was led by Cochlear Limited, an Australian medical device company and global leader in implantable hearing solutions. Cochlear invested €13 million and the round was completed by several existing Nyxoah shareholders. A representative of Cochlear has joined the Nyxoah Board.